What is music? The answer to this can be subjective as we are not all created the same and have different viewpoints in this life. The best place to start is by understanding the definition, according to Merriam-Webster online the first full definition is “a : the science or art of ordering tones or sounds in succession, in combination, and in temporal relationships to produce a composition having unity and continuity b : vocal, instrumental, or mechanical sounds having rhythm, melody, or harmony”. Now that we know the definition, lets discuss where it began. The Copernicus Science lonline dates the oldest known musical instruments was somewhere between 50,000 and 30,000 B.C. When musical instruments were made of rocks, wood, or even animal bones. One item that must be discussed is religion, because for many centuries music and religion were very much entwined. Under the rule of Constantine Christianity was declared the official religion of the Roman Empire and as a result music flourished. In the 17th century the renaissance was another period that brought many new avenues of musical integration and progress of which was that it was more harmonious, but there also was a progression of secular music. The next two centuries brought many composers and songs that we still listen to today; it was the period of the classical music of Beethoven, Mozart, and Tchaikovsky. This classical music period is also known as contemporary music when in comparison to the rest of history. The First World War brought a new form of music; jazz, which took America by storm in the roaring twenties and is still a popular genre. The electric guitar was introduced in 1936 which would bring many new forms of music most notably in the 1960’s with what most would call the “hippie” culture and produced many changes of which are still evident today. In the last part of the century came musical integration with computers that produced many new sounds of which could not be produced by humans and with advancements in technology come new ways of hearing music. Now that we understand the definition and brief history we can tackle the original question. What is music? Music can be considered an expression of one’s self in the same way that a painting can give insight to a person’s thoughts and perspective. For me, music is life. There is no distinction between music and life, but this is only my opinion. Music changes everyday, and I am excited to see what the future holds! 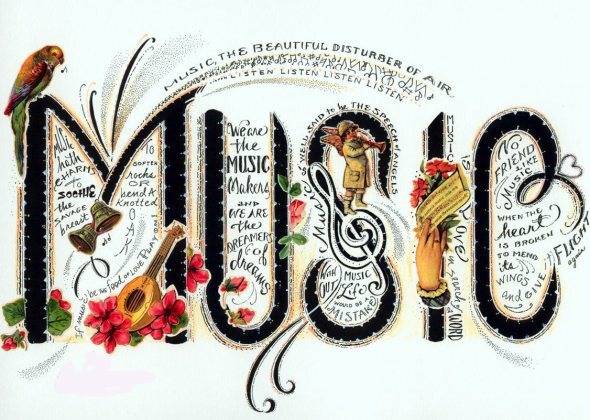 So… what does music mean to you?